Oh yes they do and today is the day when mine were answered! I am so excited to be able to announce, no wait come on lets face it...SCREAM EXCITEDLY... to the world that my little shop is finally open! 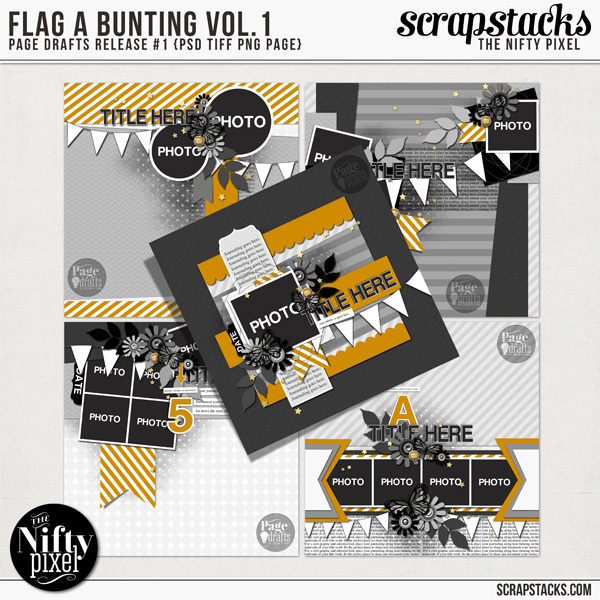 If you have'nt heard of Scrap Stacks before here is a little low down. 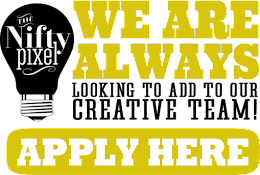 It's a fantastic site not unlike Pinterest but instead is solely dedicated to all your crafting projects. 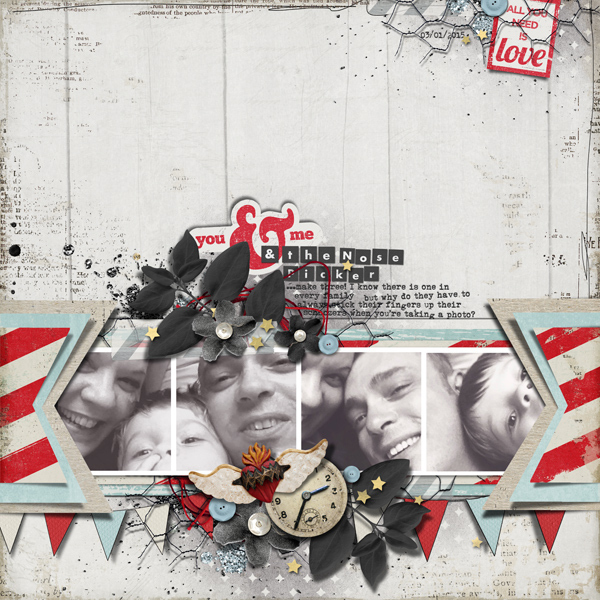 Everyone is welcome to join in to collate and share all your amazing creations in categorised galleries. 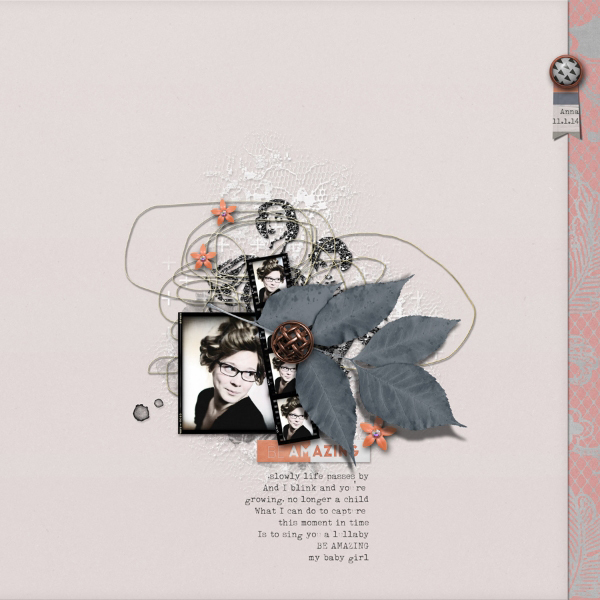 This is a fantastic way to showcase every piece of artwork you have made and organise them according to type, design team, style, year...its entirely up to you how you curate your galleries! 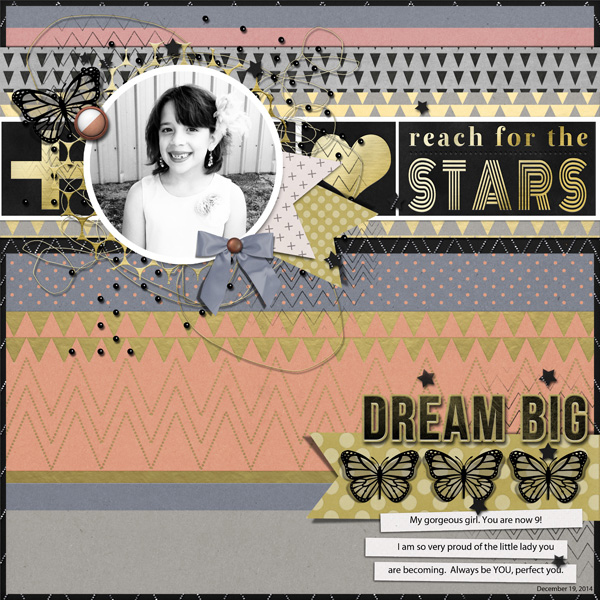 With such a fun and cool way to share projects it has as you can imagine become incredibly popular with well of 7000 users which means basically there is so much scrapping and crafting inspiration in one delicious spot you can't help but get all crafty. 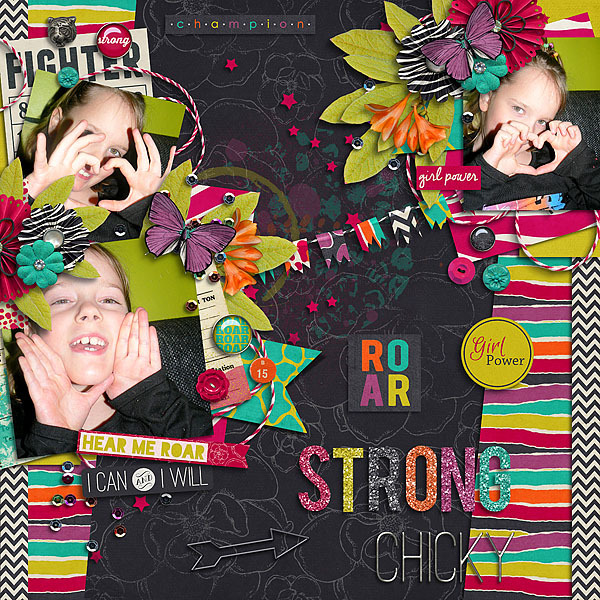 So, if you are looking for somewhere to showcase your work, collate it all in a fun way and have a boast worthy gallery of your own then why not consider Scrap Stacks! I promise you won't be disappointed. After two years the store was a natural progression and no doubt will transform this community into an even greater resource for inspiration. 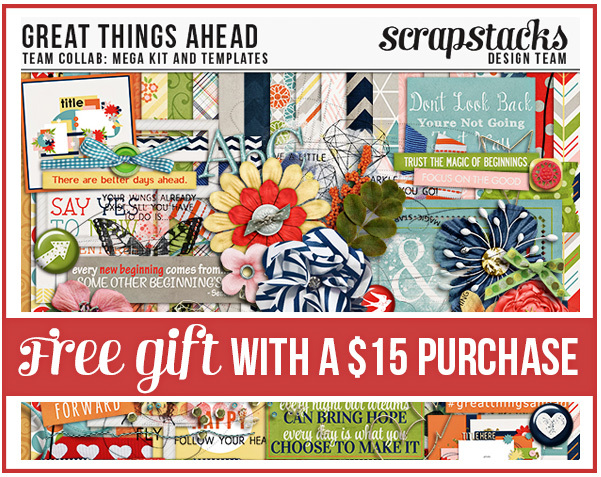 There are many amazing designers joining the ranks at Scrap Stacks and I am so excited to be amongst some of the best in the industry. I cannot wait to learn from these women and keep my eye on teh gallery goings on, there will be an endless array of inspiration to help with my creative process too he he. 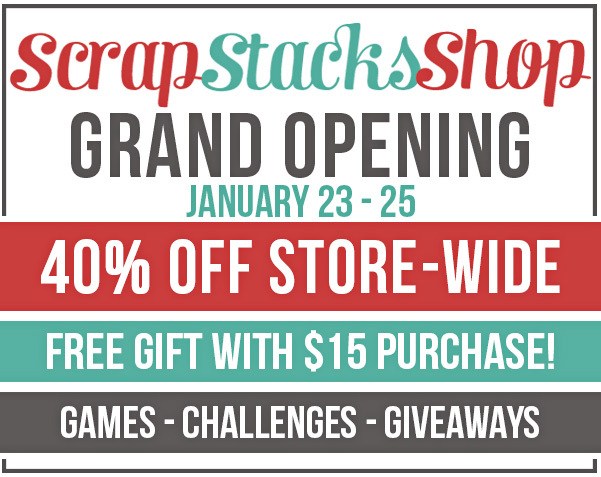 This weekend is going to be tonnes of fun at Scrap Stacks. 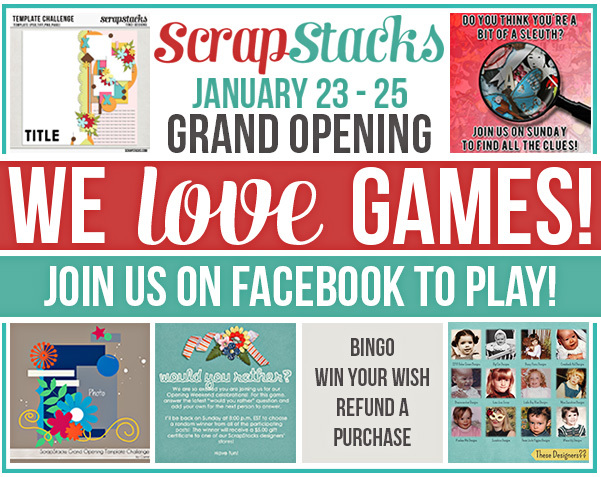 Our Scrap Stacks Facebook Social Circle will be hosting lots of fun challenges and competitions with heaps of opportunity to win some great coupons for some retail therapy in the store. 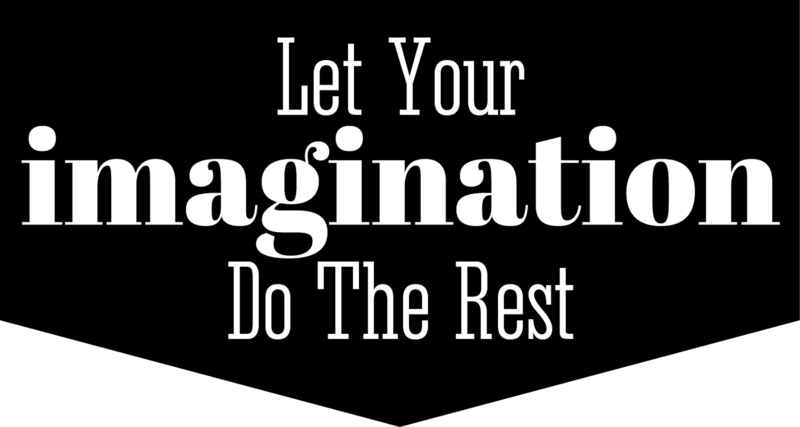 We would love you to join so pop on over and check it all out by clicking the image below! So here is my first kit as a legit digital designer. It's an eclectic meshing of vintage and modern styles with just a pinch of bling thrown into the mix. Who says no to an extra dose of razzle dazzle....no-one ever he he... ya gotta love a little glamour! Look at these Add-On Packs created to coordinate with the main kit! 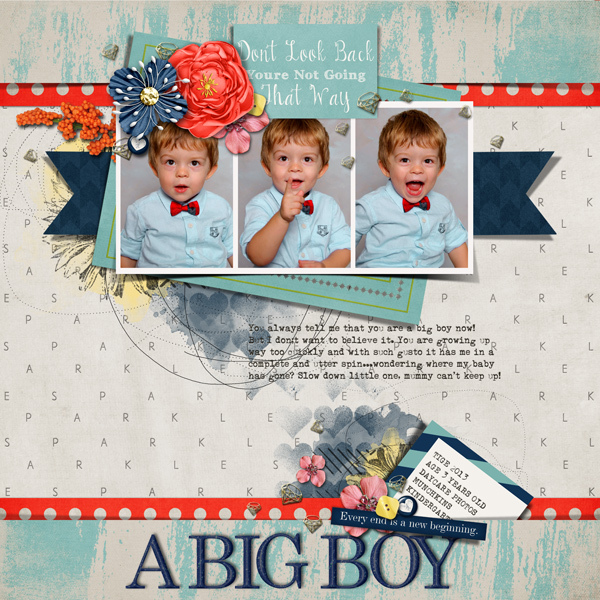 Finally...yep finally you can get our 'PAGE DRAFTS' as layered digital templates....YAY! 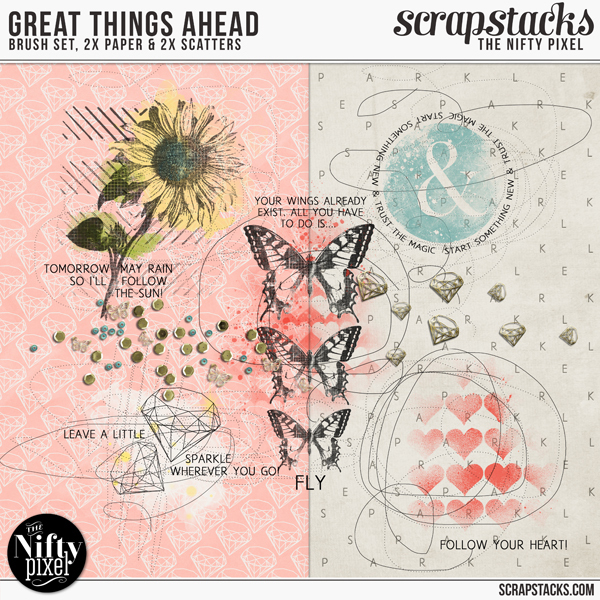 These funky little Journal Card + Elements Pack are fun play with and were offered to tehe newsletter sunscribers but I decide to share it here with you guys too since its sucha a spesh day and all! 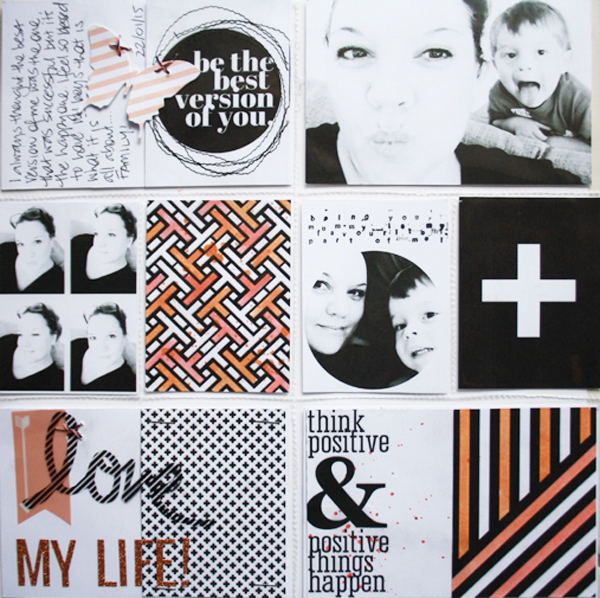 This pack will look awesome paired with any modern style kit but imagine what fun you could have printing these off then adding ink, mists or some other bling to them! 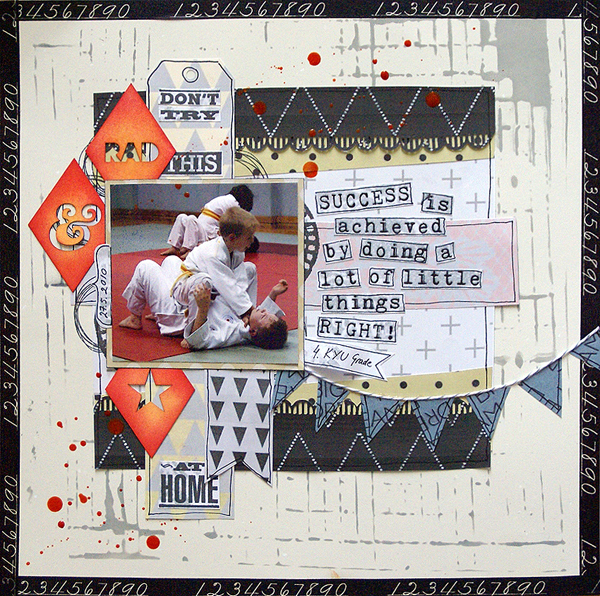 Not a bad little versatile mini to add to your stash for both digital and hybrid scrapping! So I was thinking maybe we should have a competition!!! 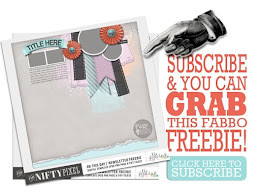 Click the image below to download your freebie and then create a project, any project be it digital or hybrid so long as you use this awesome freebie pack in the design. 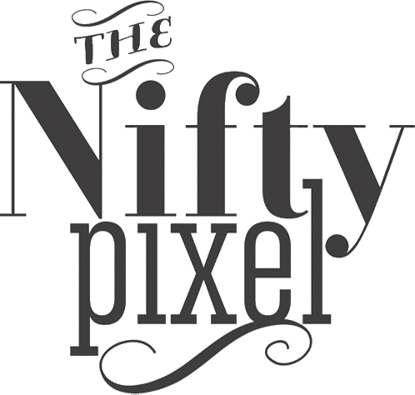 Take a high res photo of your hybrid project or if you're doing a digi project resize it so its 600px on the widest side and either post on the The Nifty Pixel Facebook wall or email to me using 'PLUS SIDE COMP' in your subject line. Newsletter competition closes midnight Feb 15th Australian EST. The winner will be announced Feb 16th Australian EST and will receive a $5 gift coupon for a spot of shopping at my store over at Scrapstacks! 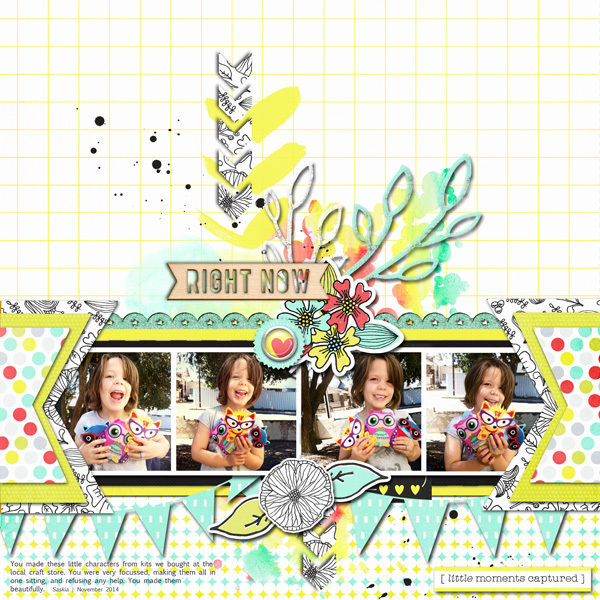 Cut and colour these handy pocket fillers. I used Tattered Angels mists brushing the pigment directly onto the cards and misting them too. I have an inkjet printer and although I did have any issues with ink bleed I would suggest being careful when using wet mediums as it may cause the printer ink to bleed on ink jets. 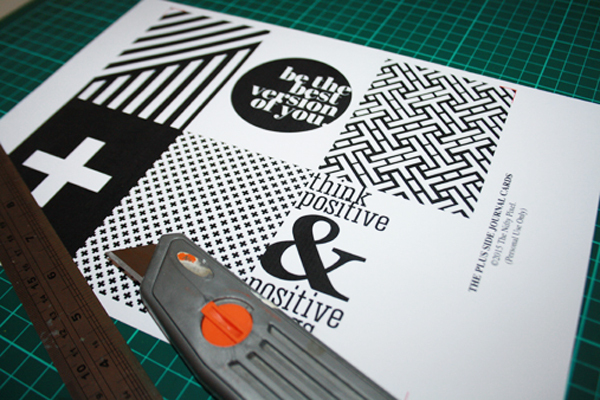 All the circle elements in these cards have been sized so that you can use a 2.5" circle punch for the larger one and a 1" circle punch for the small 'good Vibes' element, this should make cutting a whole lot easier. 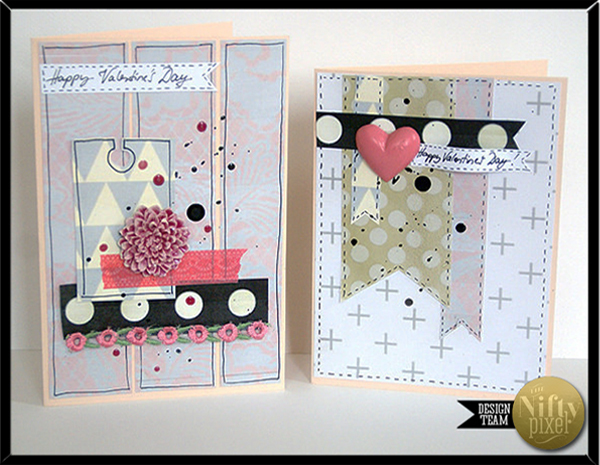 Here is a simple Pocket Page to show you how great these cards look! 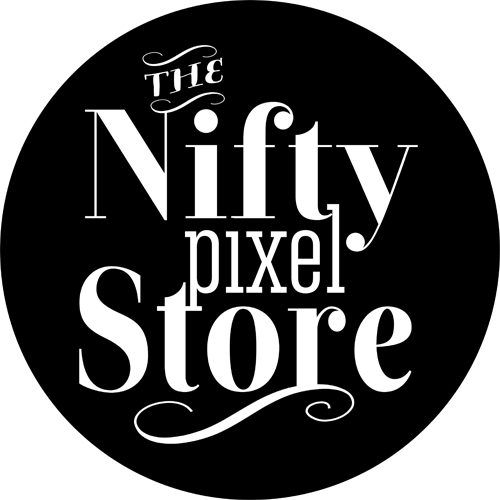 So there you have it, The Nifty Pixel is now open for business, woohoo what an exciting time! I hope you like the January releases and look forward to seeing some awesome pages using the packs. Ooh and in two short weeks the February kit will be released so keep an eye out for the sneak peek on that one in the coming days! YAY! Congratulations, Em on opening your store! So thrilled for you. They are just gorgeous products to work with! Oh well done and congrats Em, this all looks wonderful! All the best on this creative venture and I am cheering really loudly here for you and absolutely love your digi designs! Way to go!!! Congratulations, Em! 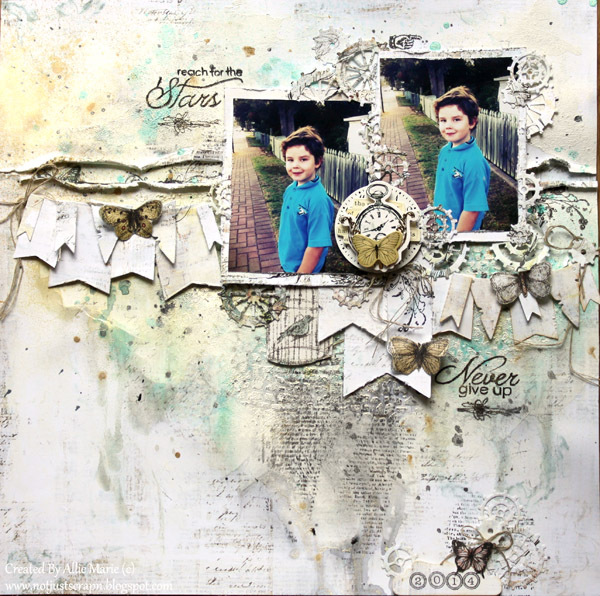 I can only second everyone - loving your designs and the kit!! !